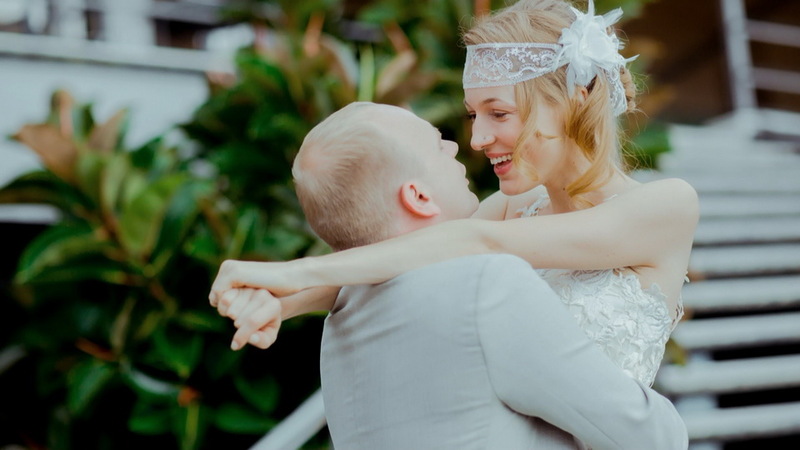 I knew clearly that I wanted a wedding in a villa near the water. 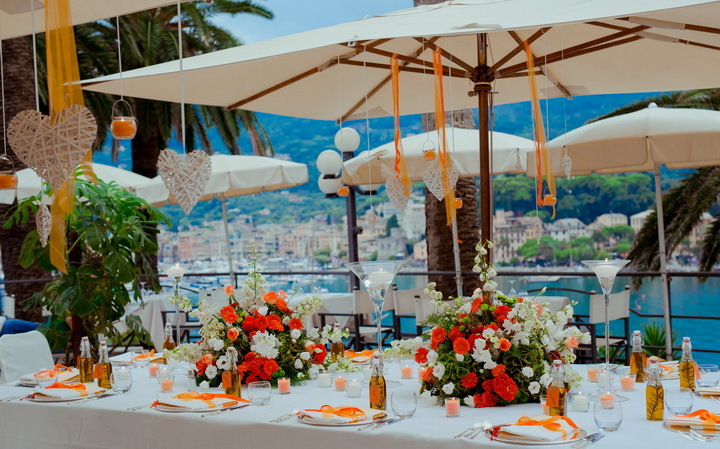 We got some beautiful options on Como lake and the Ligurian coast of the Mediterranean Sea. But on Como it was too expensive and we wanted something more of the beaten track than Como)). 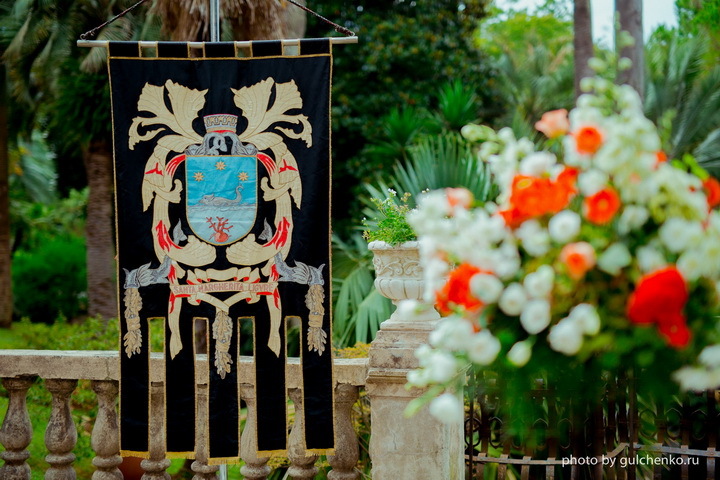 We have chosen Villa Ducale on the sea near Portofino, in the town of Santa Margherita Ligure. In my opinion there are a hundred times prettier than Como! There you can officially sign. 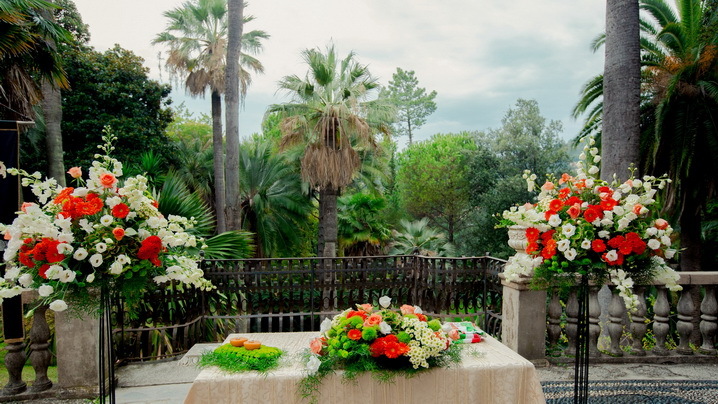 The villa itself is a stunning beauty, with exotic gardens and various rooms with antique chandeliers and murals. 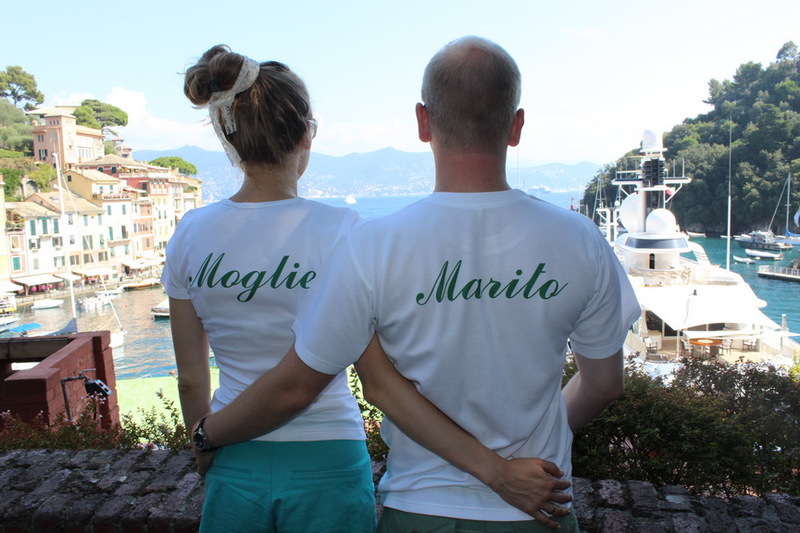 In June we were in Santa where we were met our Wedding Planner, who took us to visit the villa for ceremony, as well as some of the best restaurants for an evening reception and the hotel for us and our wedding guests . 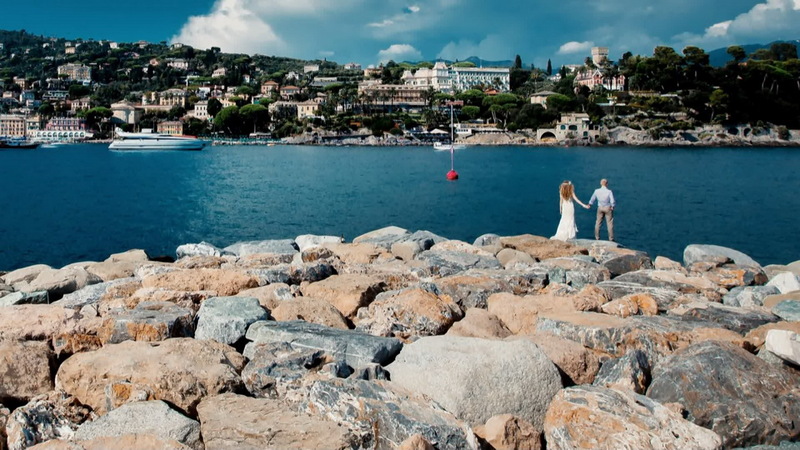 We were amazed by the beauty of Santa Margherita! So glamorous and picturesque! 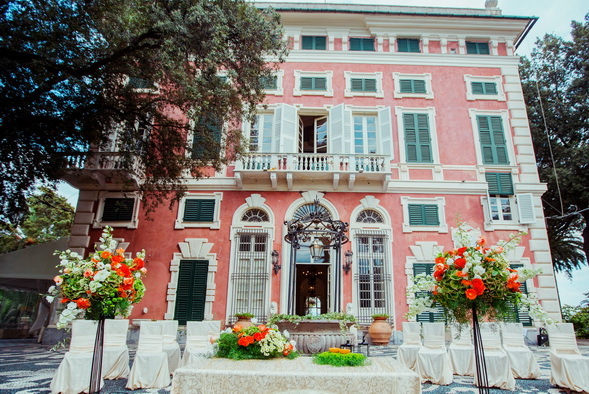 This place is considered the most prestigious vacation destination for wealthy Milanese. 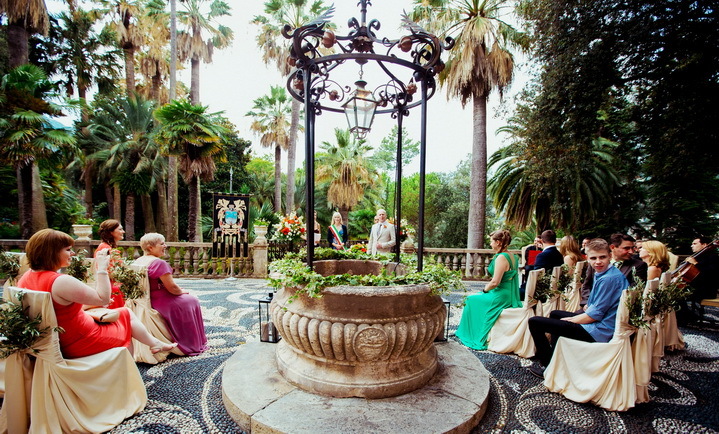 It was not easy to choose a place for the ceremony at Villa Ducale because of it's amount of wonderful halls and settings in the garden, but in the end we decided that we will do it in the garden with an ancient well and amazing mosaics on the floor, and the most beautiful hall with a sea view will be used in case of rain. And the weather on the day of our wedding was beautiful, despite the weather forecast !!! In the morning of our wedding to our hotel came stylist hairdresser. 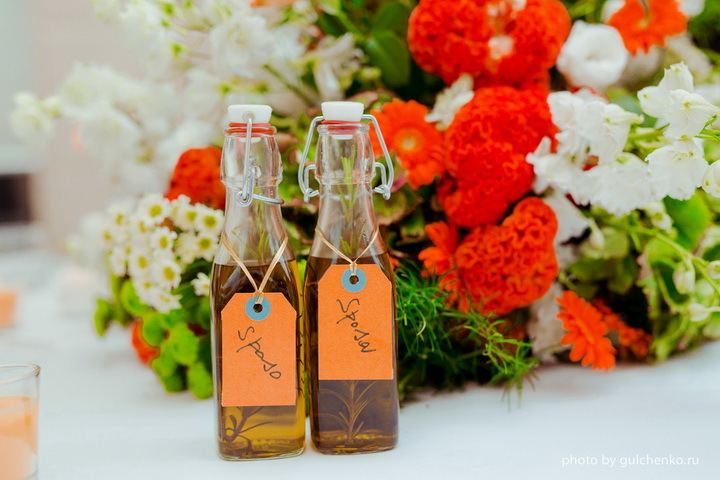 The ceremony begins at 15 o'clock, and we had enough time to comb all the bridesmaids and mums. Andrei and I even managed to do a photo shooting by the sea before the ceremony. 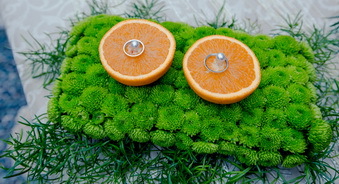 I didn't want a standard classical style wedding: the dress, hairstyle, bouquet, rings pad, etc. 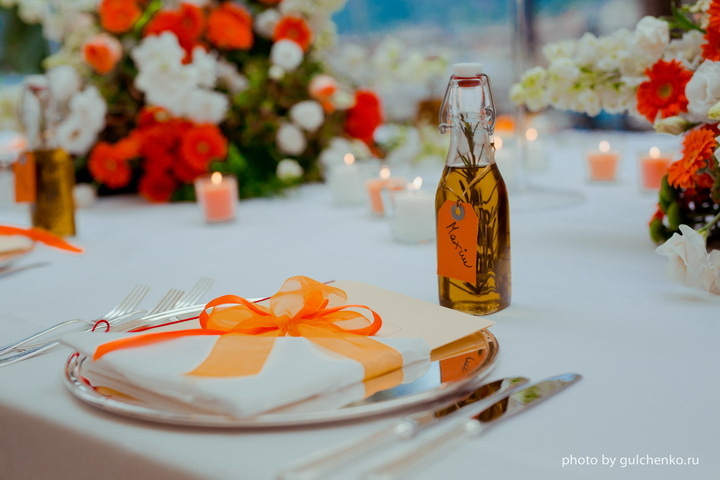 I flooded my Wedding Planner with my crazy wishes.)) And she not only brought them to life, but was able to present them nicely, so it all looked harmoniously together. 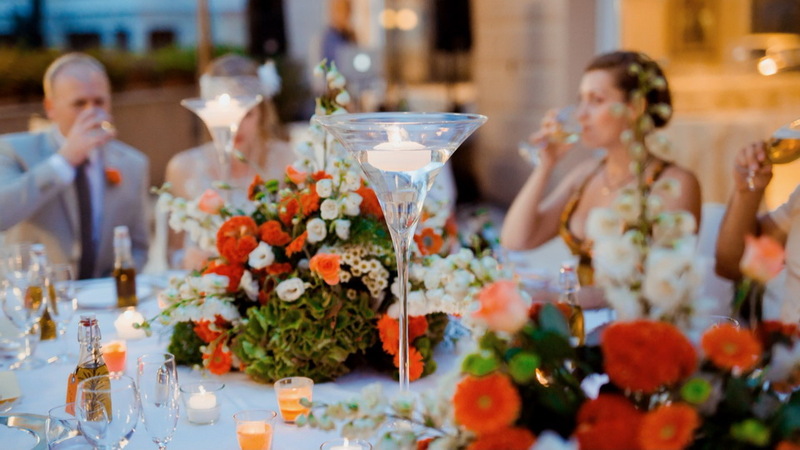 It was all so nice, expensive, exquisite and elegant! 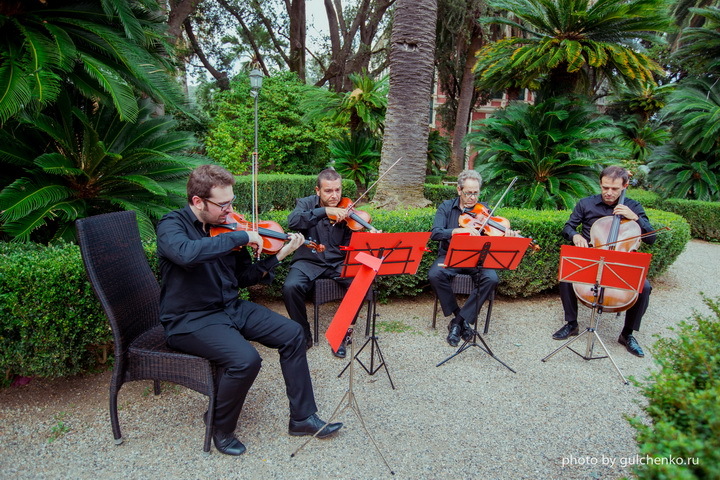 String Quartet played for us non-standard musical pieces, both during the ceremony and during the cocktail reception at the villa. 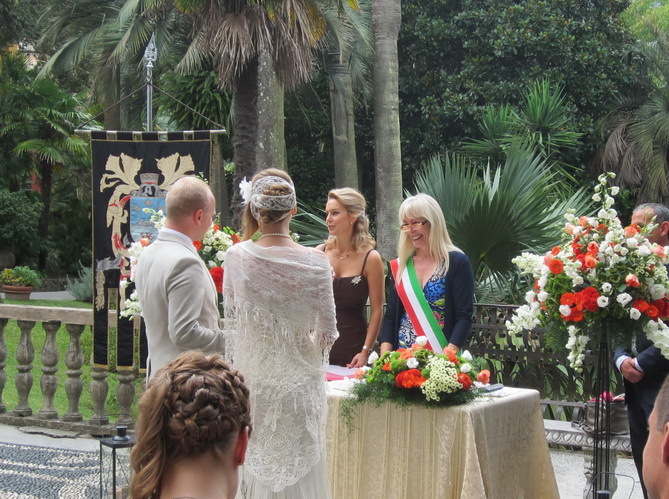 Despite the fact that in Italy, at an official ceremony it's supposed to read only formal paragraphs of the law, our Wedding Planner was able to implement the ceremony with the script especially written for us, where we had to pronounce our vows to each other, we touched not only our guests, but also themselves . 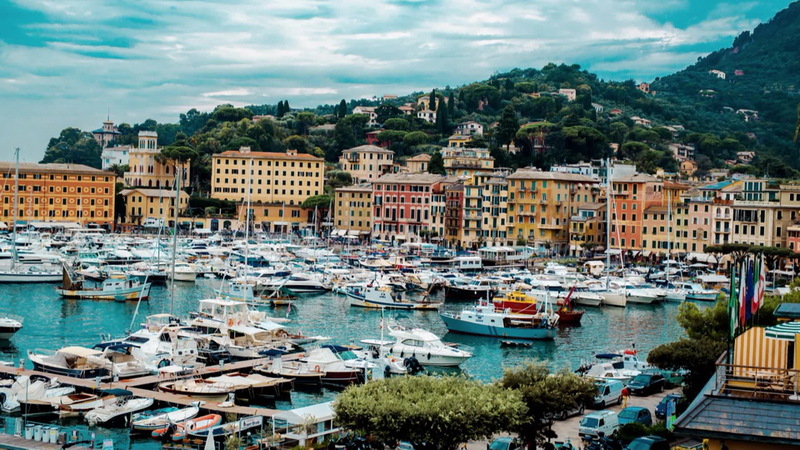 The next day we sailed with our guests to Portofino, it takes only a few minutes from Santa.